Toward the end of his life, Loren Eiseley reflected on the mystery of life, throwing light on those dark places traversed by himself and centuries of humankind. 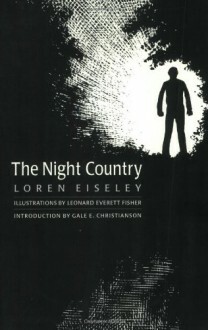 The Night Country is a gift of wisdom and beauty from the famed anthropologist. It describes his needy childhood in Nebraska, reveals his increasing sensitivity to the odd and ordinary in nature, and focuses on a career that turns him inward as he reaches outward for answers in old bones.